Many metalheads will not find themselves familiarized with the name that is Vestal Claret; only those who are die hard doom fanatics will even have the faintest idea. The duo from Connecticut have had an off-again, on-again existence since their original formation in 2005, but they've been going steady for the last four years. 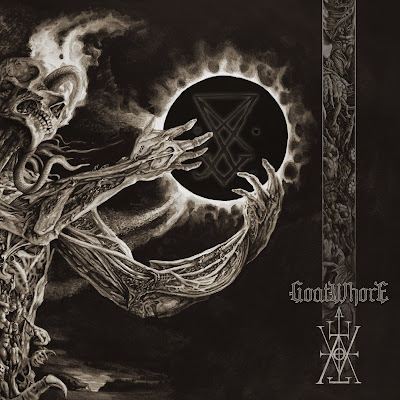 Their discography may at first prove confusing to some, as their initial LP Bloodbath was released once in 2011 and again in 2013; the former being a guest version where multiple musicians contributed to the content, while the latter being the band only version. After a brief period of waiting, the group have set to release their second full-length, The Cult of Vestal Claret. Distinguishing themselves with a modern day Black Sabbath style laced with hints of The Doors, Vestal Claret have issued a series of nostalgic tracks that may be passed off by some as simple worship; especially considering that there's a Black Sabbath cover present. 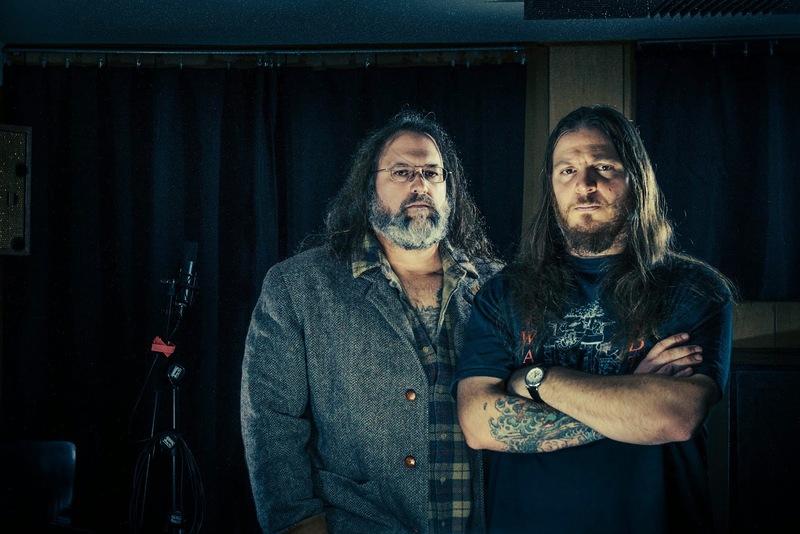 However, the group have managed to pull off these heavy influences by including a mountain of classic psychedelic compositions layered with a thin sheet of stoner metal and accompanying them with dark lyrics; all of which are branded with a unique style. As for the cover track, it's a strange, obscure song from Black Sabbath that not many people will know and as far as my memory recalls it has not been covered before, at least not abundantly; a great choice among the beyond tiresome "Iron Man", "Into the Void" and "Paranoid" covers. Aside from the cover song, the strongest point of influential worship lies within "The Stranger", the very last track of the album; so don't expect to be hit with non-stop unoriginal influence... this content actually has a lot of creativity to offer up. The album begins with a back masked introduction during "Never Say No Again", a track with one of the most interesting compositions that brings to life a guitar technique rarely used in metal today... natural harmonics. This technique is used in just a couple of songs, however it stands out prominently when present due to it's unique sound. Simon Tuozzoli uses a series of multiple frets along one or two strings to create many of the founding riffs, rarely using chord structures to achieve the framework; although "Piece of Meat" and "Never Say No Again" are two tracks that prominently use chords. The impacting difference between the two styles is that the chords weigh the track down as the heavy, crushing guitar distortion can be heard more clearly through them, versus the one string notes that allow a large flow of smoky doom atmosphere. 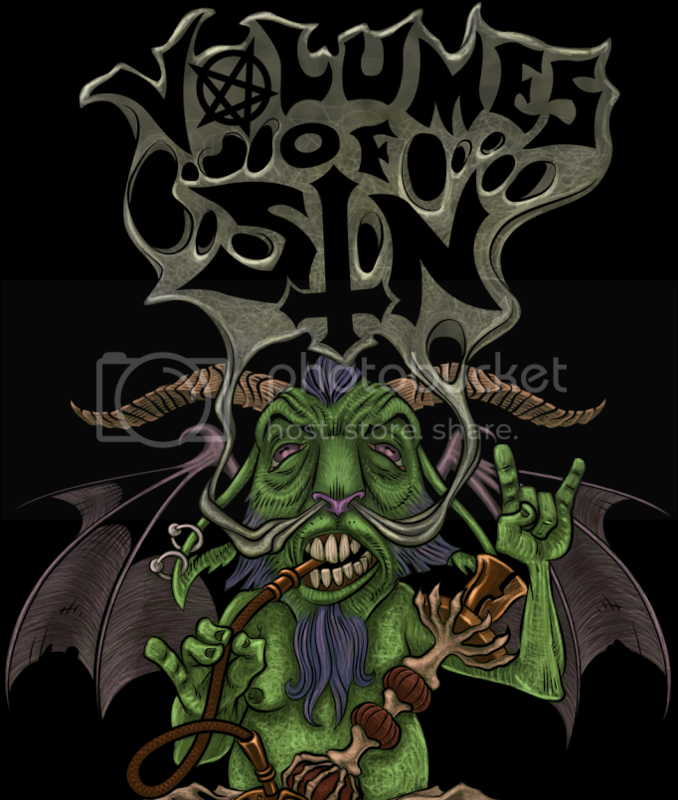 Among the ranks of what the guitar has to offer also includes acoustics, in fact "The Demon and the Deceiver" is an entirely acoustic track with an emphatic bass drum adorning the background, and flanger effects. At the beginning of the material, the drums start off loud but then gradually descend into the background over time; this occurs around the title track and mostly maintains it's receding level thereafter. With a prominent snare pop, overused hi-hats and one or two short drum rolls, the drums find their few snare/hi-hat combo beats recycled throughout most of the album. Surprisingly, this doesn't necessarily cause a negative experience for the listener, but only because the guitar, bass and vocals are ensnaring. "Great Goat God" has brief window holes within it's composition that allow for the drums to show off a little with quick percussion taps, but the bass steals the show with it's upbeat stoner grooves and deep, wooden sound. Quite a few fun, creative bass lines make their appearance throughout the album, such as in "Three and Three Are Six" where the bass tags along with the guitar riffs. Worth mentioning in an entire paragraph of it's own is the epic 16 minute long climax of the album, known simply as "Black Priest". This is a poetic track that is a haunting hybrid of influence from The Doors and Black Sabbath, colliding into one unheard of entity as waves of synthetic church organs, slow drums and flanger-filled guitars take over the audio; these verses, along with the vocalist's tone, are the Jim Morrison half of the twisted, audible beast. When the choruses hit, the song begins into a dark descent as heavy power chords lathered in crushing distortion pull the listener down into the depths of insanity. This is also the only track of the album where Phil Swanson's voice doesn't sound like a deeper Ozzy Osbourne clone, but rather a more masculine Jim Morrison. Even with all of it's influenced withdrawn directly from The Doors and Black Sabbath, The Cult of Vestal Claret provides an entertaining and mildly dark experience for the listener. 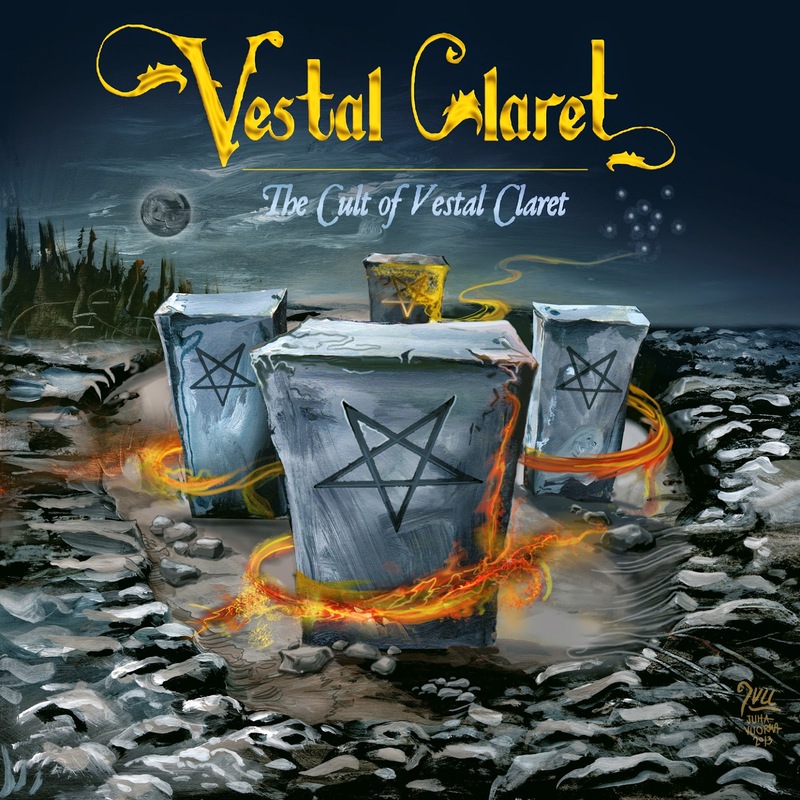 Vestal Claret have created a multitude of creative compositions as far as the guitar and bass are concerned, however the drumming is in need of improvement and more variety. A few of the compositions include rest gaps that allow for brief breaks from the guitar and let the drums and bass be heard clearly, or vica versa. An extremely well executed doom experience that is bathed in a classic aura, this definitely isn't a title to let slip under your radar.